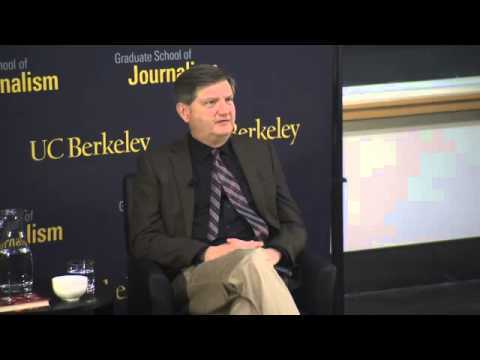 The Supreme Court today rejected New York Times reporter James Risen’s appeal of a 4th Circuit decision that ruled the government can compel him to reveal his source under oath. The case, one of the most important for reporter’s privilege in decades, means that Risen has exhausted his appeals and must now either testify in the leak trial of former CIA officer Jeffrey Sterling, or face jail time for being in contempt of court. Risen has admirably vowed to go to prison rather than comply. Make no mistake, this case is a direct attack on the press. The Justice Department has recently tightened its “guidelines” for subpoenaing reporters (which have no enforcement mechanism) and the Obama administration claims it supports a tepid journalist shield law, but this was the case where they could have shown they meant what they said about protecting journalists’ rights. Instead, they argued to the court that reporter’s privilege does not exist all, even comparing journalists who invoke the privilege to criminals who have recieved drugs. By going after Risen, the Obama administration has done more damage to reporter’s privilege than any other case in forty years, including the Valerie Plame leak investigation that ensnared Judy Miller during the Bush administration. The Fourth Circuit is where many national security reporters live and work, and by eviscerating the privilege there, the government has made national security reporting that much harder in an age where there has already been an explosion in use of surveillance to root out sources of journalists. It’s now incumbent upon reporters to use technology to help protect their sources from the first moment they start communicating with them. Encryption—whether it’s used with email, chat, or phone calls—is now a vital tool that can no longer be looked at as a luxury or speciality. Whistleblower submission systems, like our SecureDrop project or Globaleaks, should become the norm rather than the exception. Despite the damage its already done to reporter’s privilege on the whole, the government can and should prevent Risen from going to jail by declining to call him to testify in the Sterling trial. Since the Attorney General has repeatedly stated that no reporter will go to jail for doing his or her job, that seems like the least they can do. As a small tribute to Risen, today is a fitting day to re-read the book chapter that the government has subpoenaed him over. He exposed a disasterous operation by the CIA, where they literally handed over designs to a nuclear bomb to Iran. It is a truly riveting read and the public is better served by knowing what happened.